Today I bring you another guest post from beautiful Sanna from Tasty Health – a Swedish food blog packed-full of healthy deliciousness and gorgeous food! 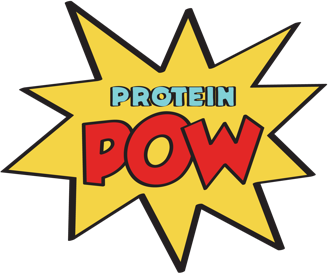 I’ll be running a protein workshop with Sanna in Stockholm this May (details to follow) and it’s going to be epic, we’ll conjure up all sorts of protein magic :-D But let me tell you more about Sanna in case you missed her last guest post (for Protein Cupcakes) and the one before it (for Protein Fudge!) Sanna is a nutritionist, personal trainer, and figure competitor. She’s also famous on Instagram (name: TastyHealth) where she shares lots of amazing recipes! Her mugcakes in particular are astounding – in fact, they’ve inspired hundreds and hundreds of mugcakes around the world! What are mugcakes? They’re microwave protein cakes that are super easy to make, take no time, and are soft, cakey, and nom nom nom: thigh-slappingly delicious! Ready to give them a shot? Because you’re in for one hell of a treat if you’ve never had them! 1. Put all the ingredients, except the strawberry, for the mug-cake in a bolw. Mix with a handmixer until you get a smooth and thick batter. Add the strawberry. 2. Pour the batter in a greased (I used coconut oil) mug, use a pretty large mug because the cake has a tendency to overflow if you use a small mug. 3. Cook in the microwave, high power, for about 1-1.5 minutes or until the top feels pretty dry. 4. Put the strawberries for the filling in a bowl and heat in the microwave for about 30 seconds. Mash the strawberries with a fork and add vanilla and chia seed, set aside for a few minutes.